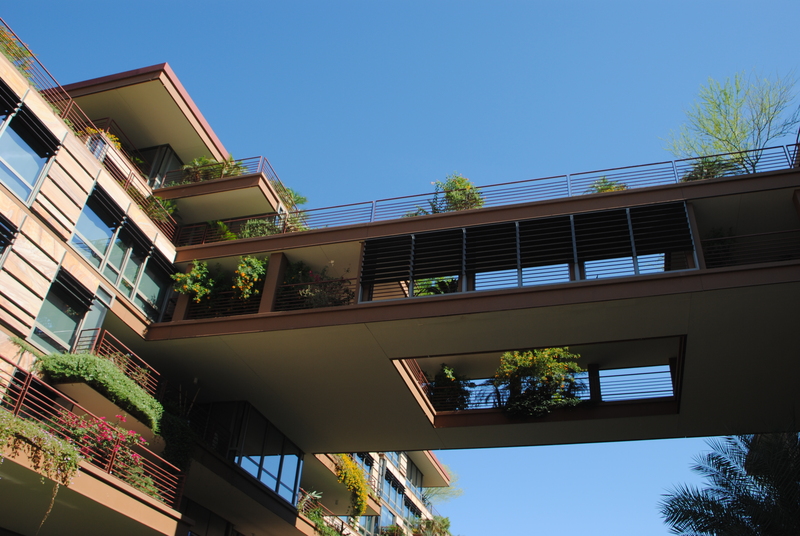 The balconies at the Optima Camelview Village in Scottsdale are lush with a specific palette of plant materials. 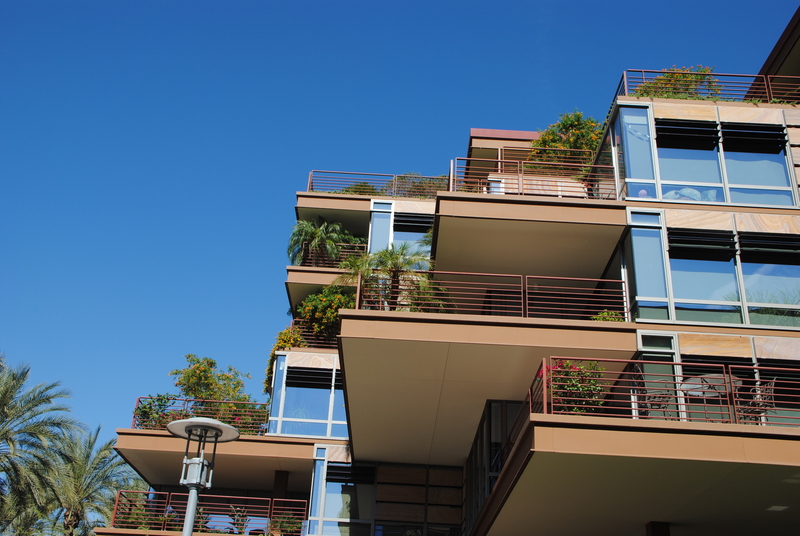 Fountains, benches, and of course plants populate the rooftop gardens. 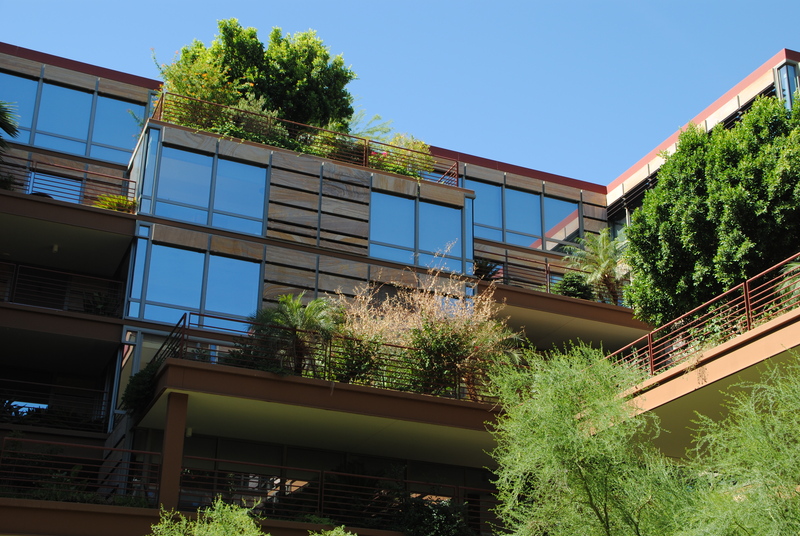 Breezeways and other common areas provide space for trees. 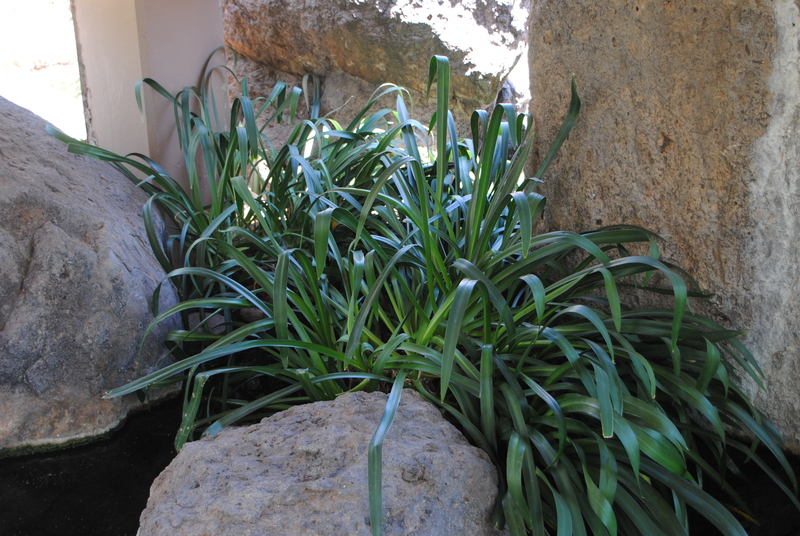 Plantings provide color, shade, and privacy. This entry was posted in Discovering the Desert - Phoenix 2013 and tagged green roof, JC Raulston Arboretum, JCRA, Phoenix on May 27, 2013 by Mark Weathington. Two days of fascinating talks about leadership, marketing, education, and even a little horticulture have already made the 2013 American Public Garden Association conference a great trip. 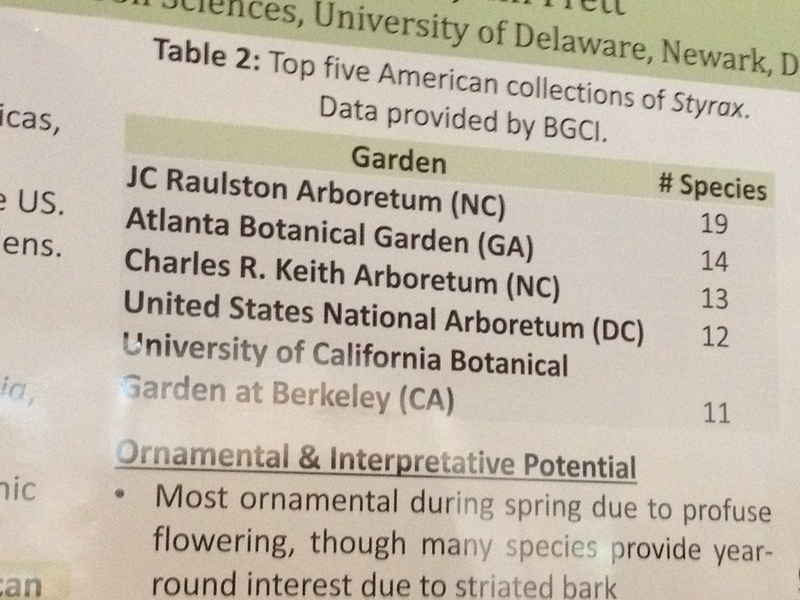 As I looked around, I realized how well the JC Raulston Arboretum and NC State University are represented at this fantastic program. JCRA director Ted Bilderback got the program off to a great start talking about water use in the nursery during an opening day workshop at the Rainbird headquarters in Tucson, AZ. By all accounts from attendees his practical, hands-on demo and advice were one of the highlights of that all day workshop – no surprise since he has decades worth of experience in Extension! Our NCSU students are also here in a big way. Graduate students Sarah Leach Smith and Dana Reynolds who both have been bit by the public horticulture bug received student travel awards to attend the conference. JCRA members may know Sarah from her work with Elizabeth Overcash on children’s programming. Dana has been working with the Elizabethan Gardens for some practical experience to complement her coursework. Also in attendance is NCSU student Keith Lukowski presenting a poster describing his 50 gardens in 50 states initiative to video a short internship description from a range of gardens over the course of the summer. I get tired just thinking about that trek. While I didn’t have any formal presentations to give, I did represent the JCRA at the North American Plant Collections Consortium (NAPCC) Magnolia curatorial meeting and updated the group on the database and website work being performed by Val Tyson and Christopher Glenn at JCRA for the Magnolia consortium. I was also on hand during the NAPCC collection holders meeting to formally accept the role of vice chair of this branch of the APGA. I must be a glutton for punishment. JCRA board member, NCSU graduate and USDA research geneticist and tree breeder, Richard Olsen, explaining the intricacies of molecular systematics to conference attendees. Beyond the people, the JCRA’s name was evoked on more than one occasion especially in reference to our outstanding collections and distribution programs. 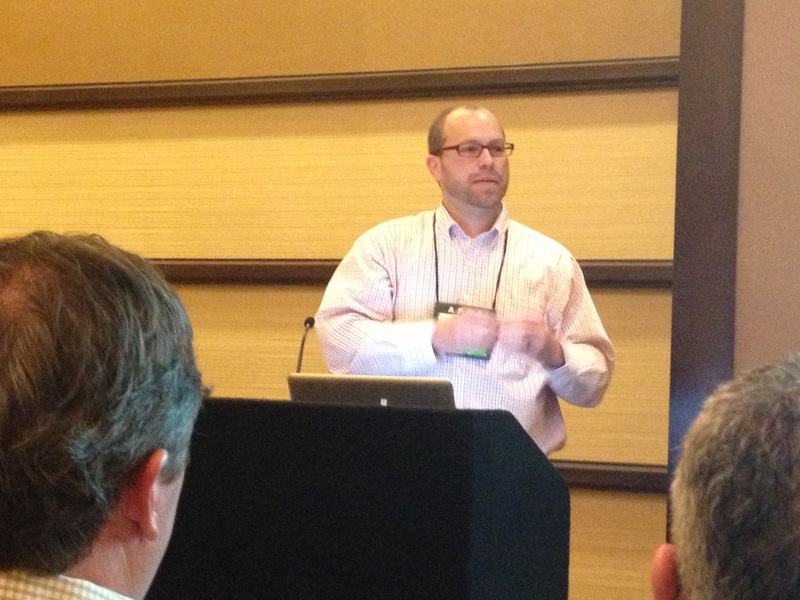 One poster noted by many of the plant folks was presented by Mathew Lobdell from the U. of Delaware. His survey of Styrax confirmed the depth of the JCRA’s collections. We’re in pretty rarified air with his list. Detail from Mathew Lobdell’s poster on Styrax. 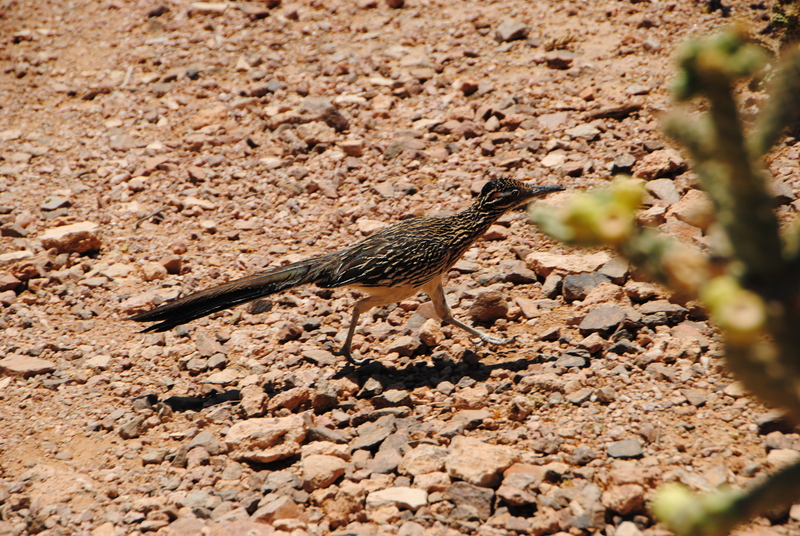 This entry was posted in Discovering the Desert - Phoenix 2013 on May 22, 2013 by Mark Weathington. 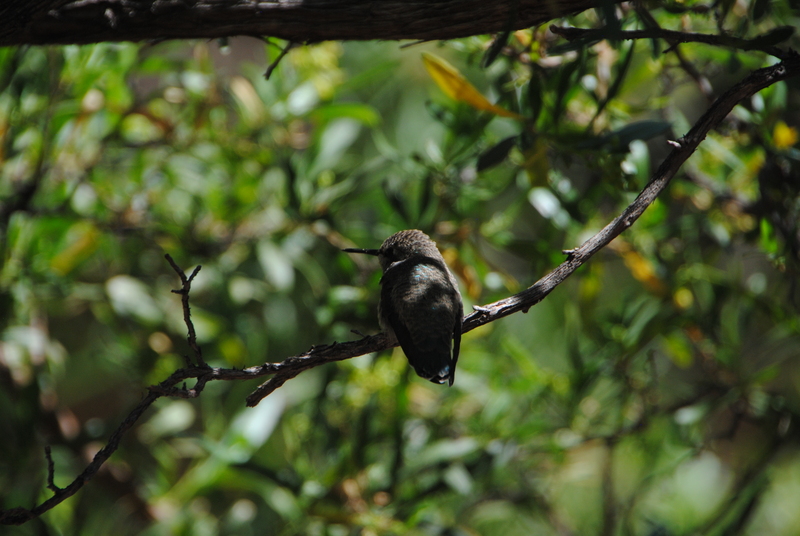 Resting hummer in the enclosed hummingbird exhibit. 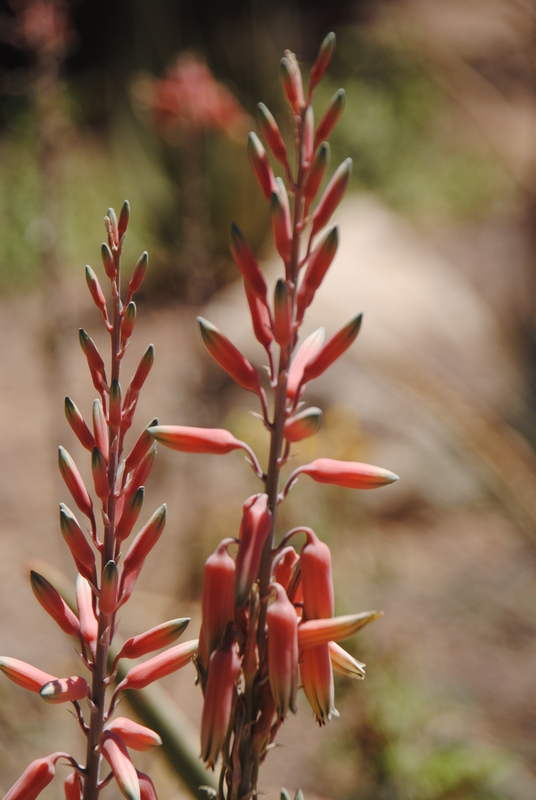 The plants were what I found really fascinating though and while the cacti and other succulents were impressive, some of the flowering shrubs and perennials were exciting to see. 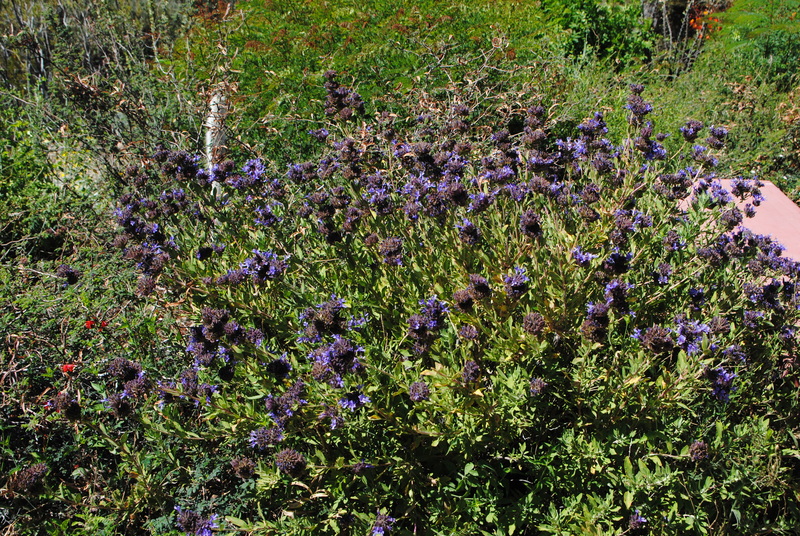 A hybrid sage, Salvia mohavensis xclevelandii, was a showstopper and one I’d like to obtain for the JCRA to trial. It was positioned as part of the pollinator garden which focused on the many different desert pollinators from butterflies to bats. 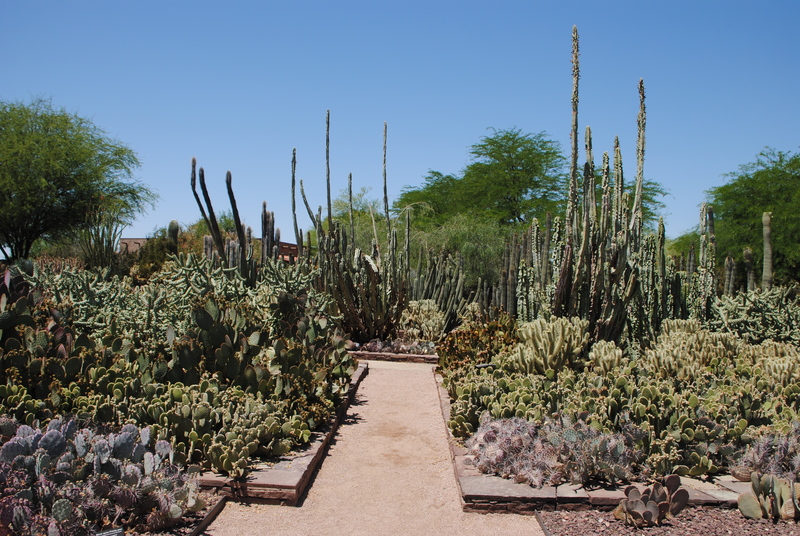 Other gardens included ethnobotanical gardens, agave and cacti gardens, and a desert garden. 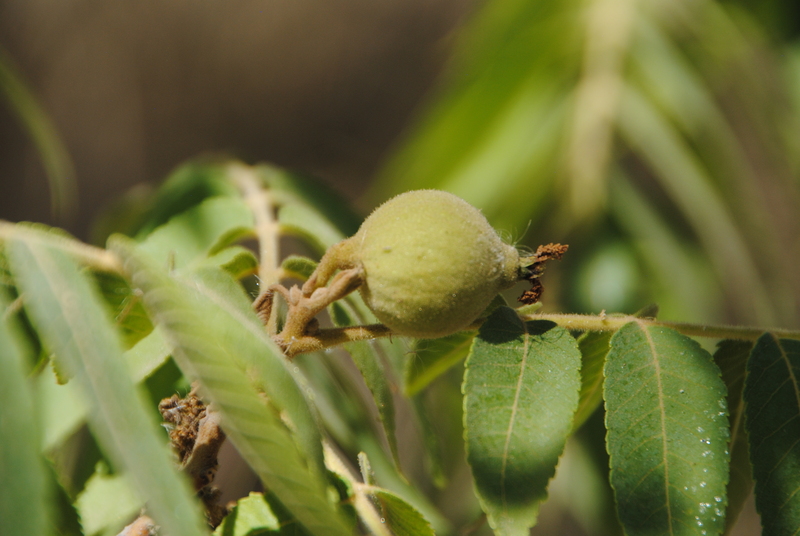 Juglans major, the Arizona walnut. The Hymenocallis sonorensis (Sonoran spiderlily) was unfortunately not in flower. 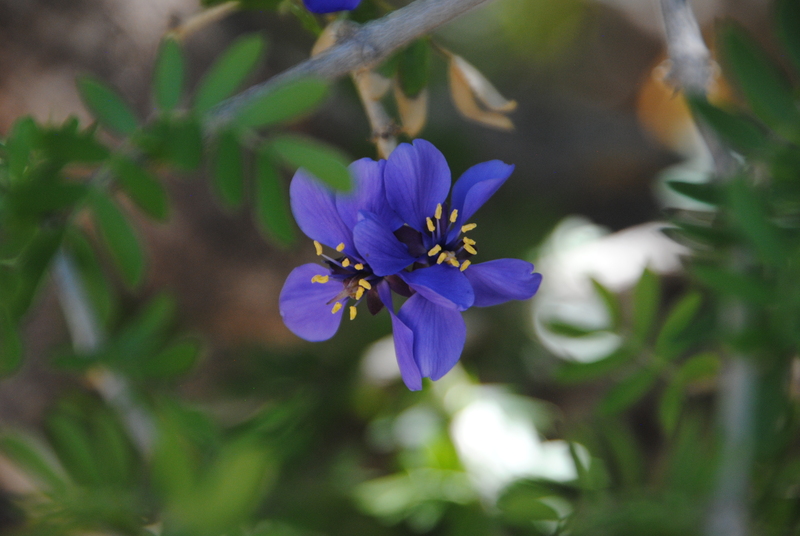 The beautiful blue flowers of the Guaiacum coulteri from Mexico and Guatemala. 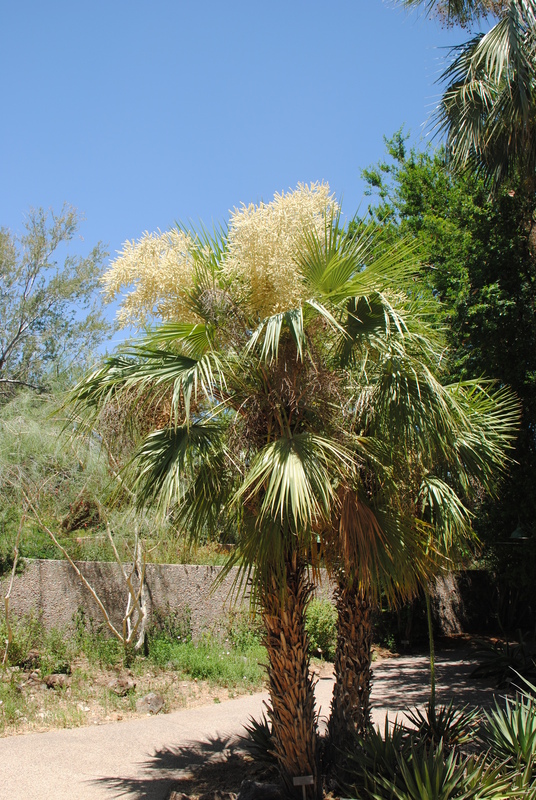 Brahea aculeata is a palm from Mexico which is critically endangered due to severe habitat loss. 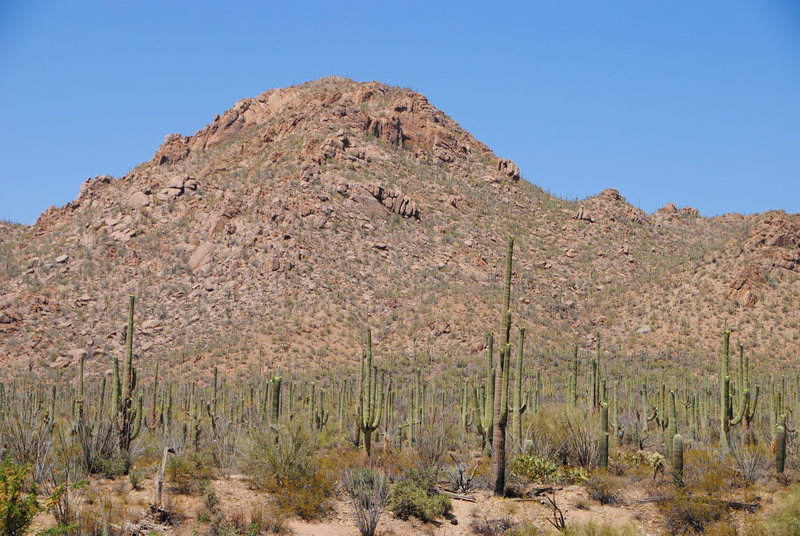 The Saguaro National Park sits on a breathtaking piece of land with expanses of its namesake and rocky buttes framing the views. Carnegiea gigantea better known as saguaro cactus surrounded by fish hook barrel cactus (Ferocactus wislizeni), jumping cholla (Cylindropuntia fulgida) and scrubby subshrubs and desert legumes. 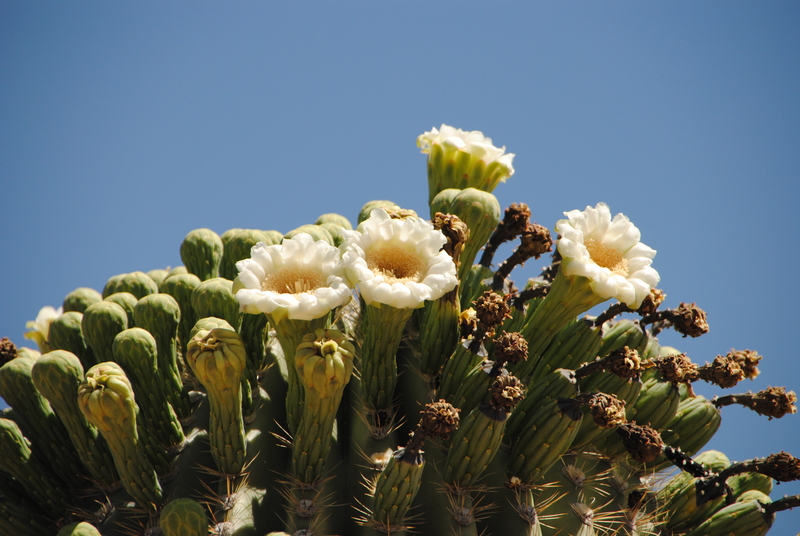 Our visit coincided with the peak flowering of the saguaro cactus. 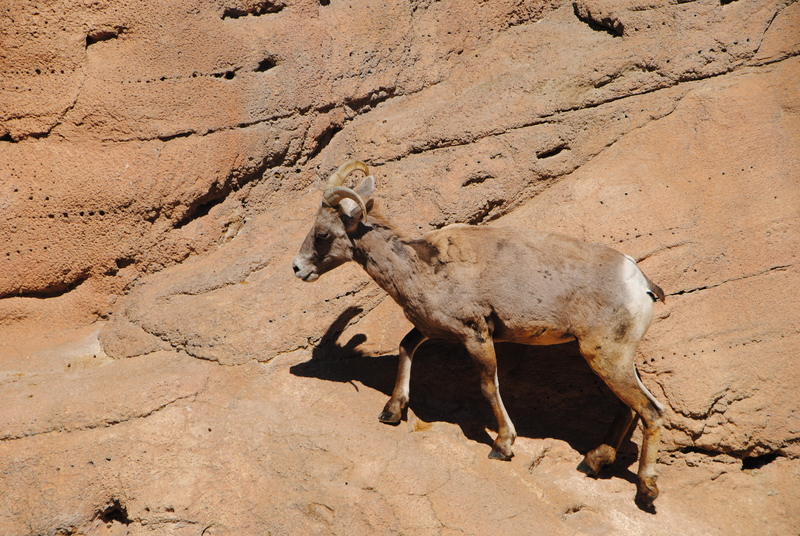 This entry was posted in Discovering the Desert - Phoenix 2013 on May 21, 2013 by Mark Weathington. 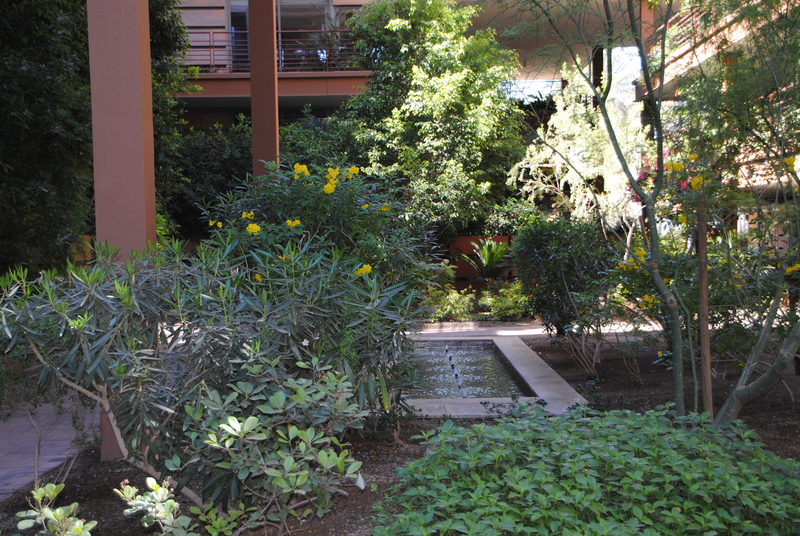 The annual conference of the American Public Garden Association in Phoenix, AZ was all the impetus I needed to head down to the southwest to explore the flora and public gardens in the area. Although I was born in New Mexico, I have not spent much time down this way and much of the flora is a complete enigma to me. 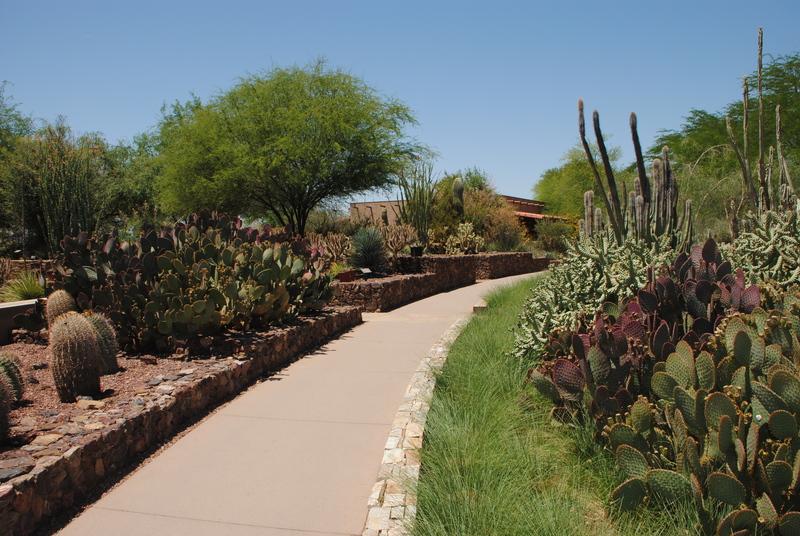 Since my flight arrived early and registration for the conference was not until later in the afternoon, I decided to swing by the Desert Botanical Garden which is situated between Phoenix and Scottsdale. I wasn’t terribly familiar with the garden so I wasn’t sure what to expect but I was blown away by the displays and the collections. 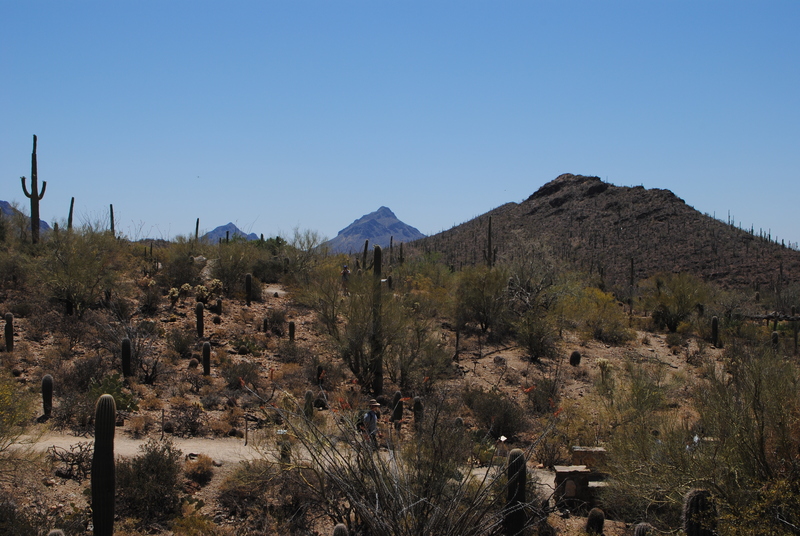 The entry garden at Desert Botanical Garden with the borrowed view of a nearby butte. Much like I have found in other good desert environment gardens, it is virtually impossible to take a picture that isn’t stunning. The strong forms of the woody lilies and the other-wordly shapes of the various cacti combine with the open, spiny shrubs and trees to creat drama around every corner. 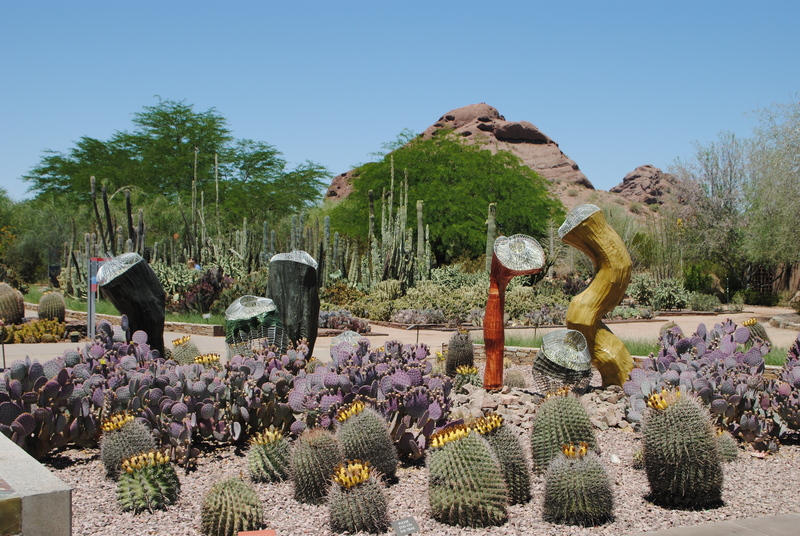 Desert Botanical Garden’s beauty is no accident of lucky plant placement though but instead a carefully constructed display destined to inspire and wow visitors. 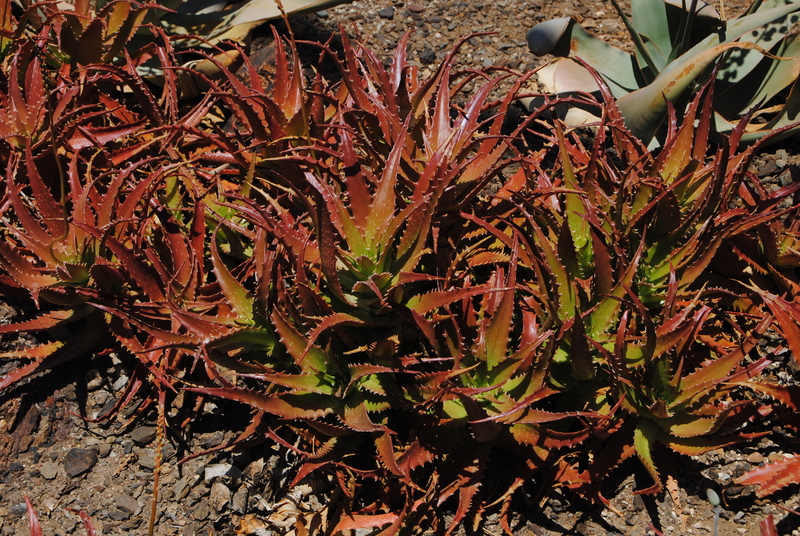 The cacti collection is worth a trek to visit. Incredible collections are combined with beautiful gardens for the best of both worlds. 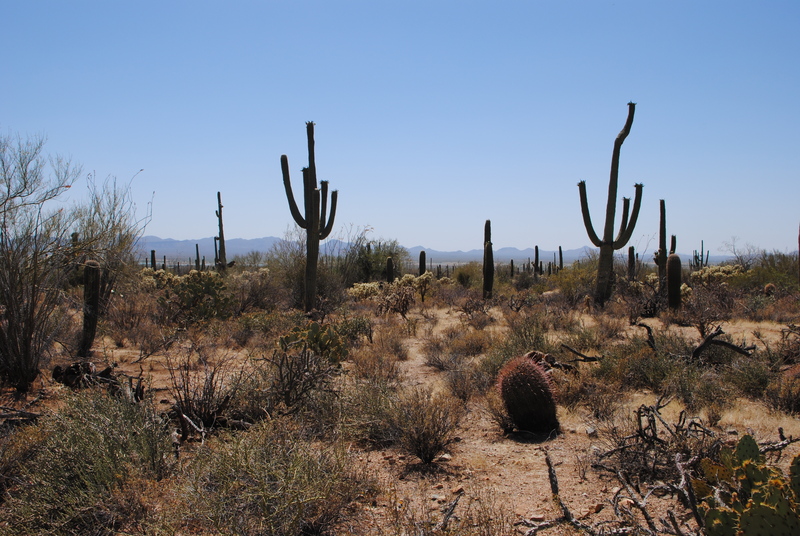 This entry was posted in Discovering the Desert - Phoenix 2013 on May 19, 2013 by Mark Weathington.